Every "blue-moon", not very often, but it happens, I'll overcook meat where it's really not like meat anymore, because it's become more like "pressed wood" from being so dried out from over cooking. I didn't like the thought of throwing it out, but it wasn't good at all-way too dry, and it hit me. 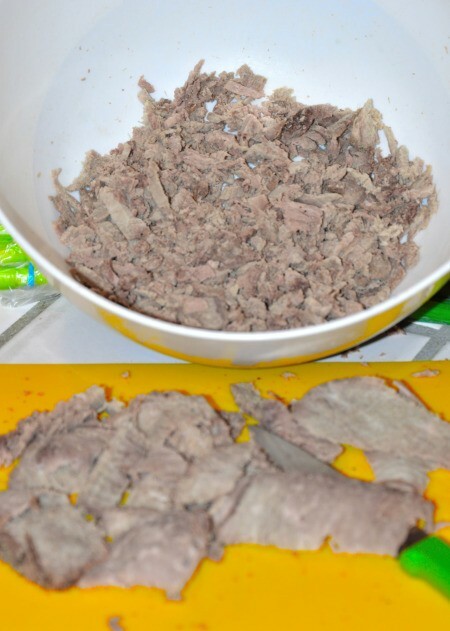 Why not just use that dry overcooked beef for taquitos since I'm mixing a few other ingredients into it? It might not be so bad, and it was actually very-very good! And there was no difference in taste from perfectly cooked meat inside the taquitos vs the overcooked meat. Just chop up your meat. 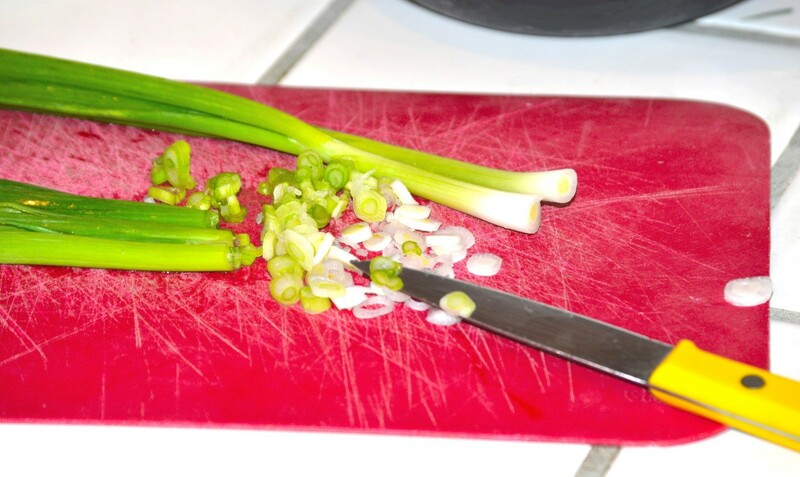 Add some sliced thinly green onions with an egg and some spices, like garlic, cumin and chili powder and mix it up good, then roll that up inside your tortilla. Dip it in hot oil first to soften the tortilla so it doesn't break when you roll it. 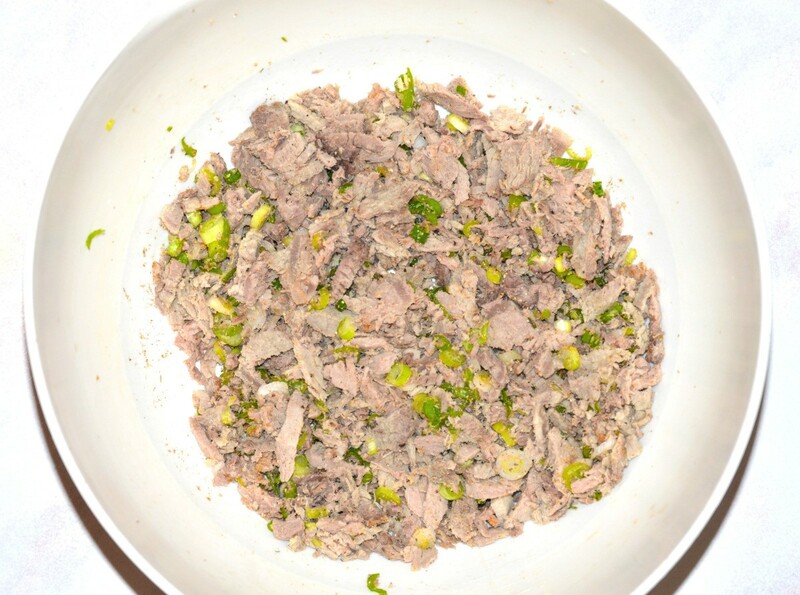 Use about 2-3 heaping tablespoons of your meat mix. 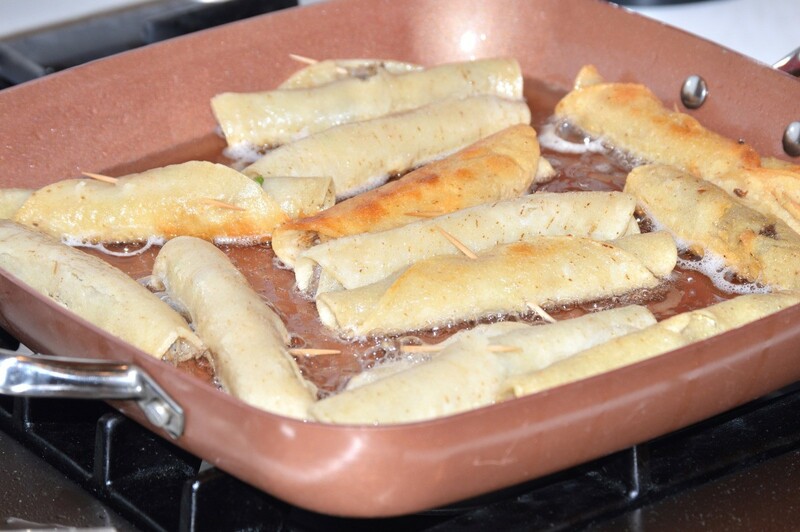 Toothpick them so they don't come undone, and fry the taquitos in hot oil until golden brown. Drain on a paper towel. 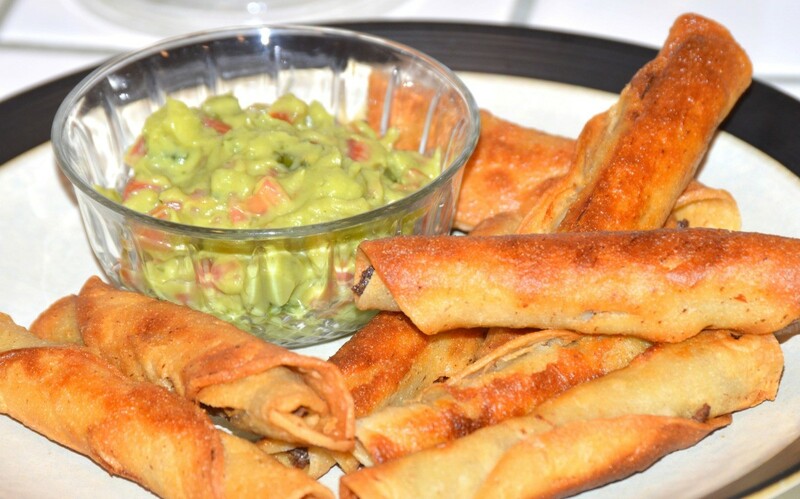 Serve with guacamole on the side (have to have that!) for dipping your taquitos into and you've got a tasty meal which made good use of that dried out and overcooked meat. A funny that happened was my hubby had his taste buds set for roast and gravy. When he saw me rolling up taquitos, he said what happened to the roast and gravy with potatoes you were going to make? I just said I changed dinner to taquitos instead, hehe - my little secret of my boo-boo. I told him later, after he thoroughly enjoyed the taquitos with the beef that got overcooked. 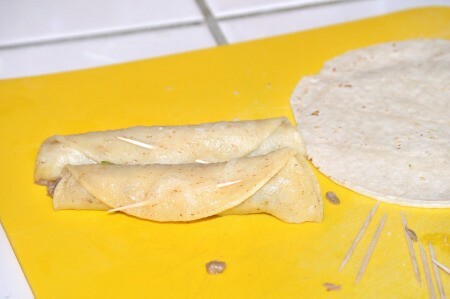 So all in all, roast beef, pork, or over cooked "any kind of meat" actually would work great rolled up in these yummy crunchy shelled taquitos.